The ECHO Tec. PRO series is designed for ultimate reliability and ease of operation. 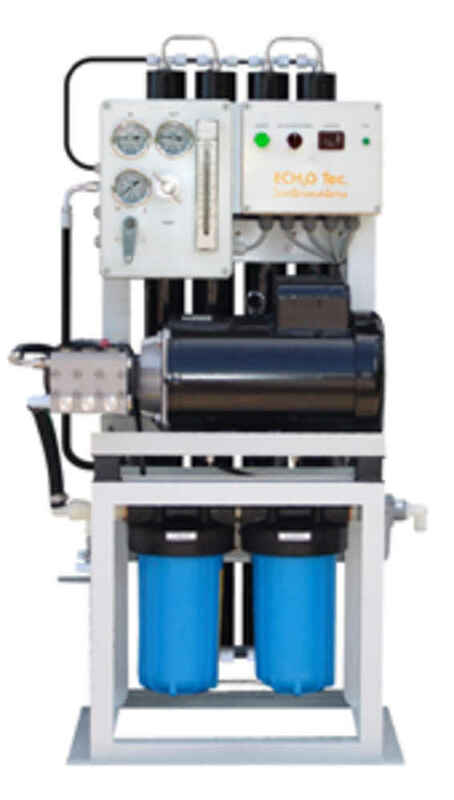 It supplies small to medium sized commercial vessels and large yachts with up to 3,000 gallons per day of high quality potable water. Available in 12, 24 DC or 120, 220 AC for the pleasure boater. Other models are available for larger or commercial applications. 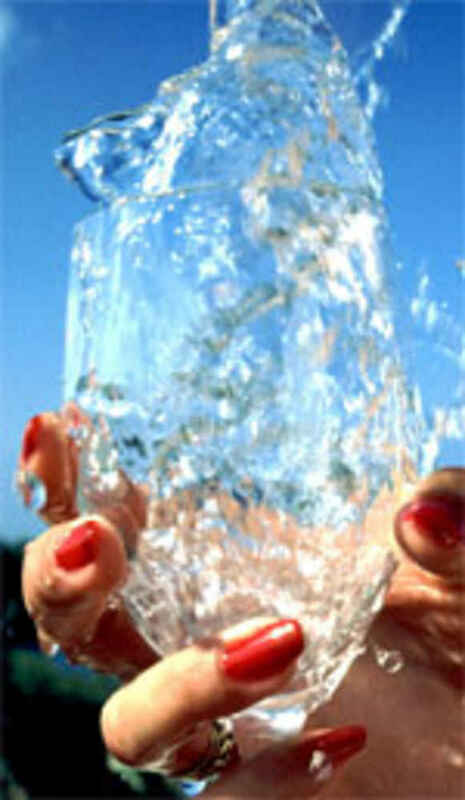 J Gordon & Co is experienced in the installation and repair of most watermakers. We have been installing watermakers (reverse osmosis) in sail and power boats of all sizes for years. The brand of desalinator depends on the type of boater, water usage, power available, controls and budget. 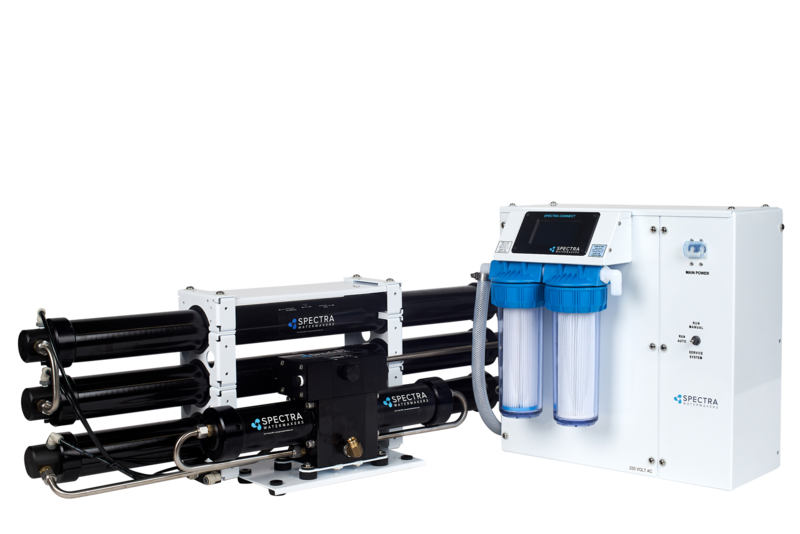 J Gordon & Co is the Mid altlantic distributor for Spectra watermaker and Blue Water Desalination and dealers for Echo-Tec Marine. We serice all brands of water makers. Selling to the retail and wholesale markets - call today for more information. See below for a typical watermaker installation under a settee seat. 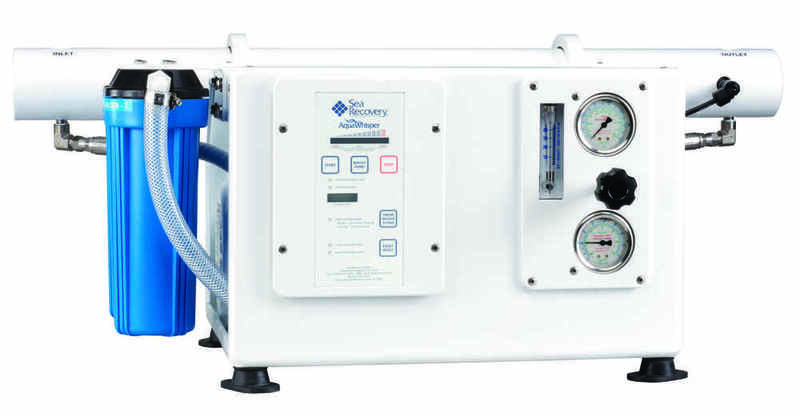 Spectra Watermakers' first introduction was into the marine industry. Cruising sailboats and powerboats with limited on-board resources have benefited greatly from this new technology. A higher quality of life, a clean and secure water source, extended cruising range, power source redundancy, and gear wash down is what an energy efficient high output DC watermaker can offer. 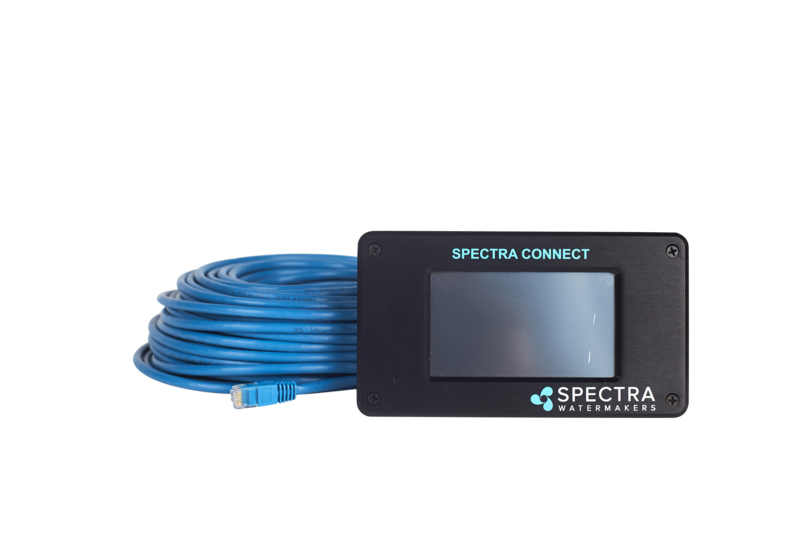 The Spectra Connect allows you to monitor and control your watermaker on a computer, smart phone, or tablet from the boat‘s existing local network, or Spectra’s unique access system can be installed to connect wirelessly! New features have been added, like the Estimated Service Interval for clear routine maintenance schedules to keep your watermaker in perfect condition; or Spectra’s Auto Run feature can now be programmed to run by time or volume of water produced, making it customizable for the user’s yacht. The Cape Horn Extreme continues to be the choice for serious offshore racing campaigns like the Volvo Ocean Race and Clipper Challenge round-the-world yachts. The Cape Horn Extreme is reliable and durable, with its diaphragm feed pumps in parallel, it can be run on a single pump for high efficiency or two pumps for high output. The system uses rugged mechanical controls and gauges and is perfect for the hands-on racer or cruiser. The new Catalina 340 Z produces 14 gallons (53 liters) of water per hour, making it the perfect watermaker for the midsize yacht with two to four people onboard. The Catalina uses the Spectra Magdrive feed water pump, making the system extremely quiet, energy-efficient, and reliable. This system comes standard with the MPC 5000 control, for simple push button operation, system monitoring, and automatic fresh water flush. The Newport 400c is the most energy efficient, automated, and easy-to-use watermaker available, and comes with the new Spectra Connect controller as standard! 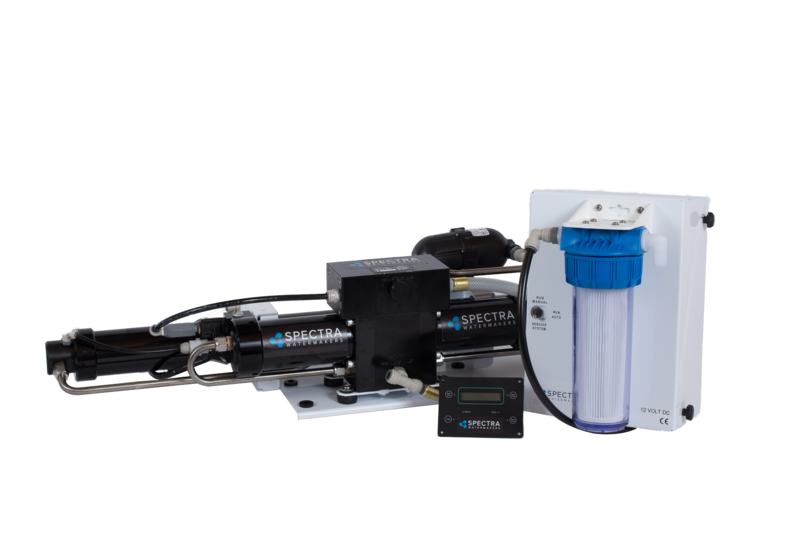 The Spectra Connect allows you to operate and monitor your watermaker from a remote device, and has new added features like the Fill Tank mode, or a customizable Auto Run mode, One-Touch Sensor Calibration, and suggested maintenance intervals displayed on the dashboard, taking the guesswork out of operation and upkeep! The Newport 400c operates on as little as 15 watts per gallon (4 watts per liter), making it possible to run your system on a small generator, solar, wind, or straight off the batteries. Multi-speed capacity allows machine operation on high mode for maximum product flow or low mode for maximum efficiency, making it ideal for onboard power management. The Newport 1000c is the most energy efficient, automated, and easy-to-use watermakers available, and come with the new Spectra Connect controller as standard! 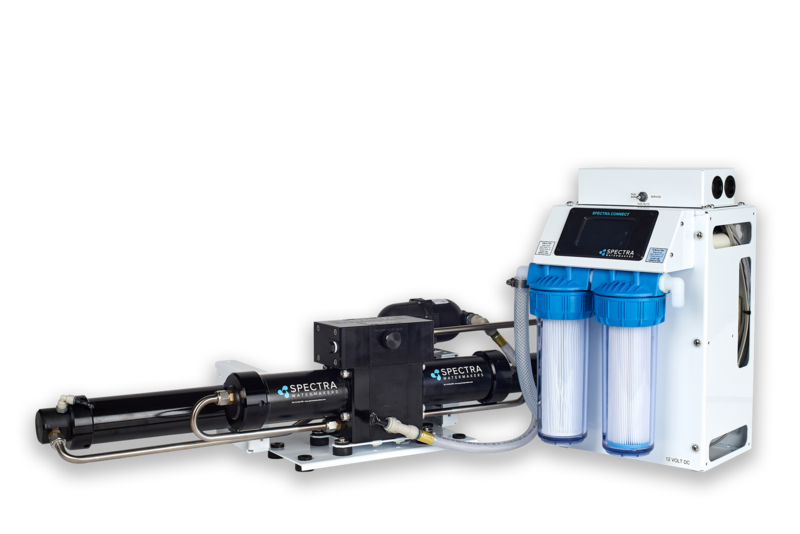 The Spectra Connect allows you to operate and monitor your watermaker from a remote device, and has new added features like the Fill Tank mode, or a customizable Auto Run mode, One-Touch Sensor Calibration, and suggested maintenance intervals displayed on the dashboard, taking the guesswork out of operation and upkeep! The Newport 700c and 1000c are available in DC and AC Voltages. Systems use motor speed control technology, allowing for quiet operation on an inverter, using a generator, or straight off the battery bank. Multi-speed capacity allows the machine to operate at its’ optimum speed in all conditions. 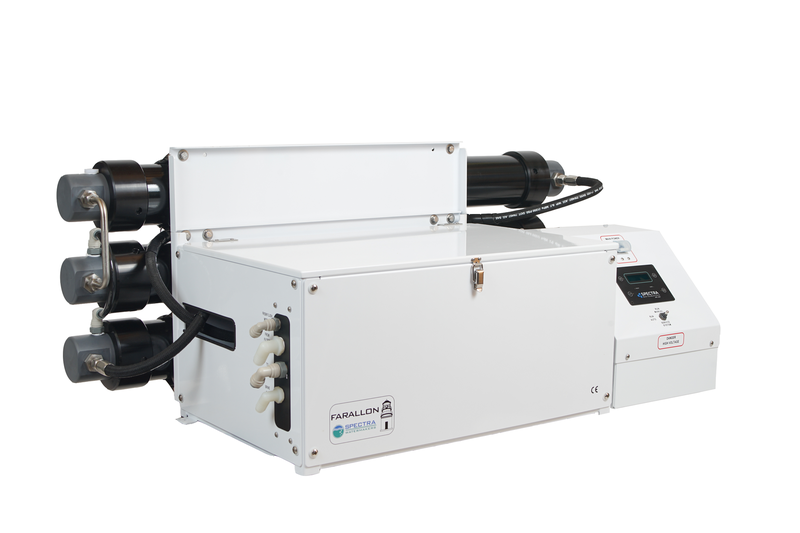 The Farallon systems are designed with Spectra’s unique Pearson Pump technology for unrivaled reliability, energy efficiency, and durability and now come with the new Spectra Connect Controller. The Spectra Connect allows you to operate and monitor your watermaker from a remote device, and has new added features like the Fill Tank mode, or a customizable Auto Run mode, One-Touch Sensor Calibration, and suggested maintenance intervals displayed on the dashboard, taking the guesswork out of operation and upkeep! The slow-moving pumps mean less maintenance, longer, quieter, trouble-free operation. The Farallon’s variable frequency drive motor controller ensures soft starts with no massive inrush current to crash your inverter or generator at startup. 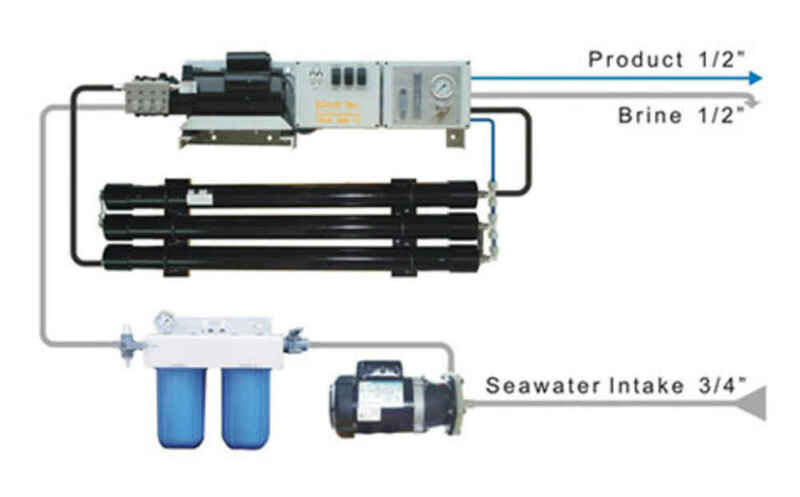 Powered by 110v or 220v AC, these systems bring municipal scale desalination plant features to your fingertips. 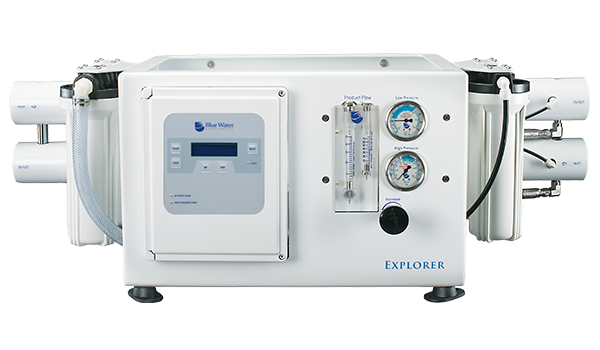 Blue Water Desalination offers six distinct lines of watermakers to suit the needs of the most discerning mariners, from the day fisherman up to the long-range sailor and transoceanic yachtsman. Within the six lines, we offer dozens of models of varying capacities in both frame and modular style configurations. The EXPRESS XT series features fully automatic operation with capacities of up to 33 gallons per hour (126 liters per hour). These units were designed to fit into the tight spaces of small and mid-sized yachts. The one-touch operation makes the Express XT series ideal for applications where it is difficult to access the watermaker while the vessel is underway. 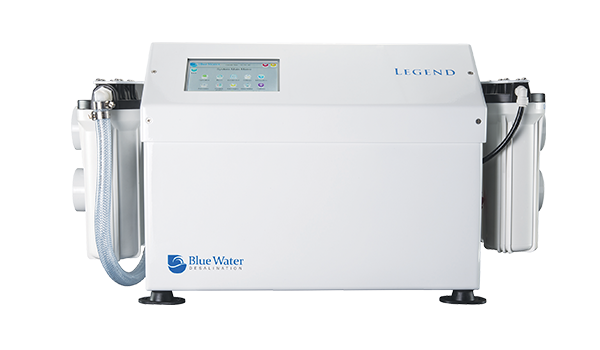 The LEGEND series features the latest in watermaker control technology with its industry leading 7” full color icon driven touch screen controller and capacities ranging from 475 gallons per day up to 1850 gallons per day. 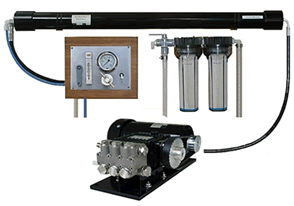 All Legend series systems use the same pump and motor assemblies and are fully upgradeable.